Home » »Unlabelled » The mother sits in an airplane when suddenly a woman takes her baby away. She can’t express her gratitude! 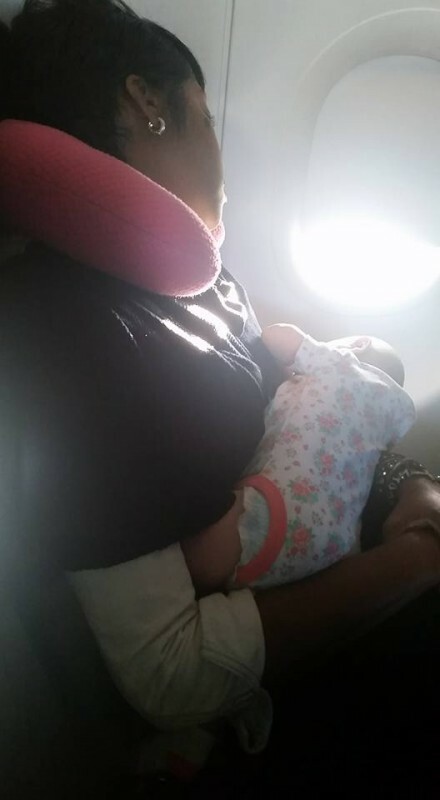 The mother sits in an airplane when suddenly a woman takes her baby away. She can’t express her gratitude! 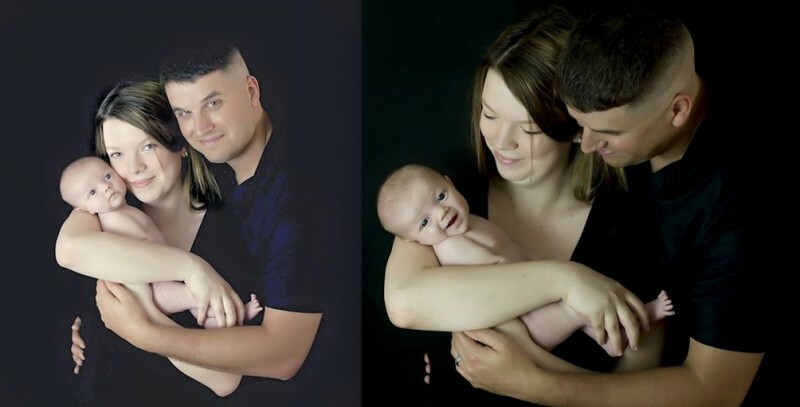 Rebekka Garvison, a nurse from Fort Rucker, Alabama, had been married to her husband Nick for about a year. 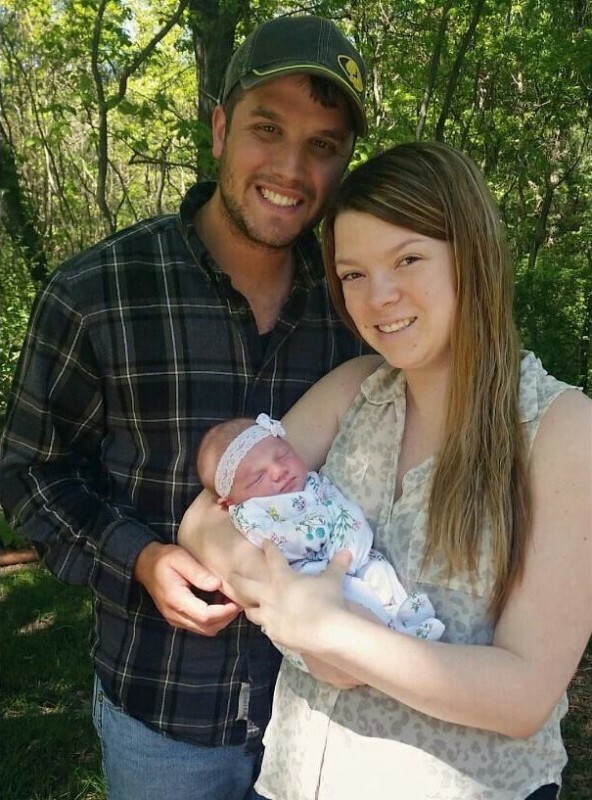 The two were overjoyed when they finally got to hold daughter Rylee in their arms. Since Nick worked as a fireman, he was often away from home. 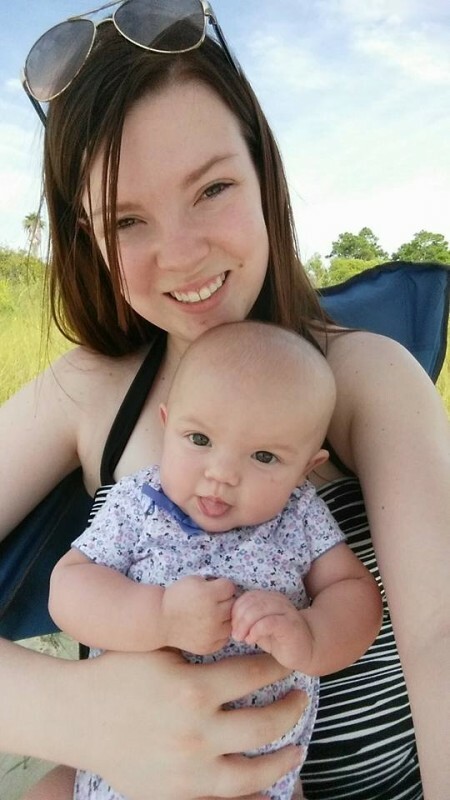 Rebekka decided to surprise her husband by planning a trip with baby Rylee. 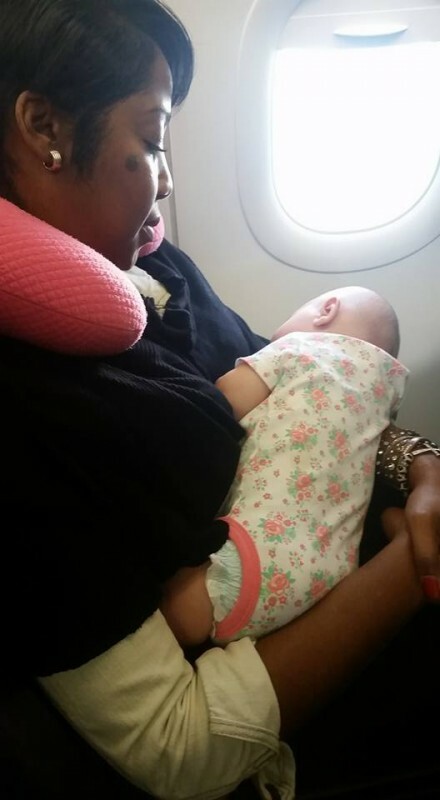 The young mother was understandably nervous because her daughter was still very young and it was difficult to know how the baby would tolerate the flight. Then Rebekka experienced an astonishing surprise, which she described on Facebook after landing. "Something amazing happened to me today and I will never be able to express how grateful I am for it. If anyone has ever traveled with an infant you know how stressful it can be. Today, I was reminded that there truly are absolutely AMAZING individuals in this world even if they are complete strangers to you. I have been planning this trip to surprise Nick Garvison for quite some time and have been most stressed about flying alone with Rylee and all of our stuff to lug around with no help. As soon as we got on the plane at 5:30 AM it was very quiet and it was a full flight. I noticed that the 2 seats next to me were taken and this couple looked very annoyed and I could tell by their body language sitting right next to me that they weren't thrilled about sitting next to Rylee. Of course I'm already stressing and then Rylee started crying when we were just getting ready to taxi. I decided to ask the other flight attendant if I could move up 2 rows where there were 2 empty seats next to each other and I'd have more room to do stuff. She said yes and next thing I know I was sitting next to this amazing woman! I'm not sure if she could tell how stressed and upset I looked or what, but she turned our day completely around. Rylee wouldn't stop crying no matter what I would try and do....so she had asked if I didn't mind if she tried and of course I let her. As soon as she had her, Rylee was looking out the window and stopped crying. When we got in the air she fell right asleep and slept in her lap the whole flight until we got to our gate. She kept saying it wasn't a problem at all and it was actually a comforting feeling for her. She even carried her off the plane and held her so I could get the stroller and carseat put back together so I wasn't struggling to try and do it all alone. As fate would have it, Rebekka met Nyfesha once again on the return flight! The two women have touched countless people with their encounter and friendship. Rebekka's post has already been shared 100,000 times! If this gesture of humanity also touched you deeply, then share this story!